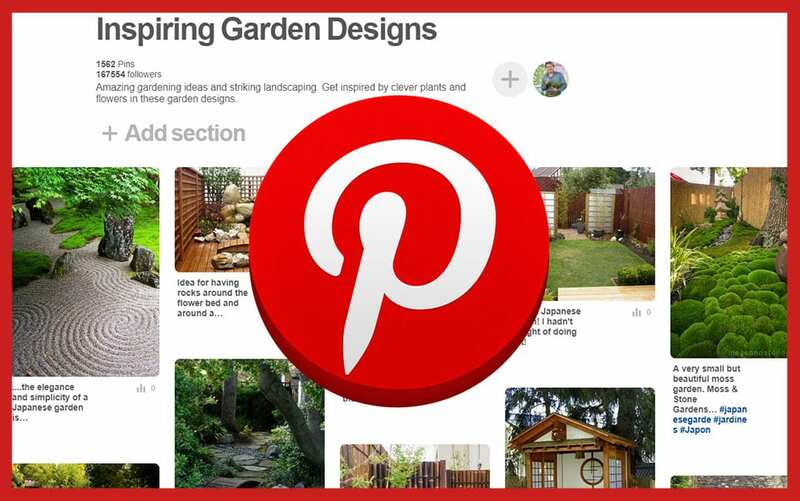 Designing a garden is easier than people think and choosing your plants is often the best bit! If you’re an inexperienced gardener, the huge number of plant options can sometimes seem overwhelming, so here are my ten simple rules to choosing the best plants for your garden. 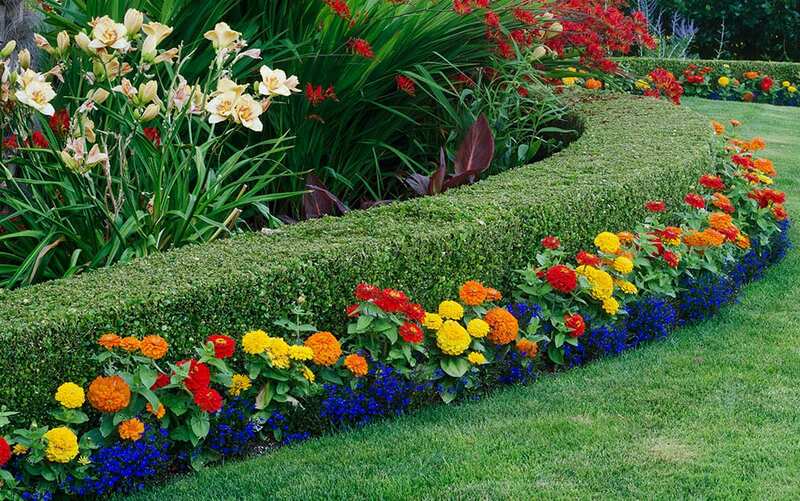 With these tips you’ll have a beautiful new garden in no time at all. All plants have preferred growing conditions, so when designing your garden try to match plants with the conditions found in each area, watching for the way the light moves during the day. Is it shady or sunny? Sheltered or exposed? What’s the soil like—chalky or sandy, acid or alkaline? Poorly drained, well-drained or somewhere in between? All of this makes a difference to plants! If you’re unsure, ask for help at your local garden centre. You can buy soil testing kits, and even take in pictures of your garden. 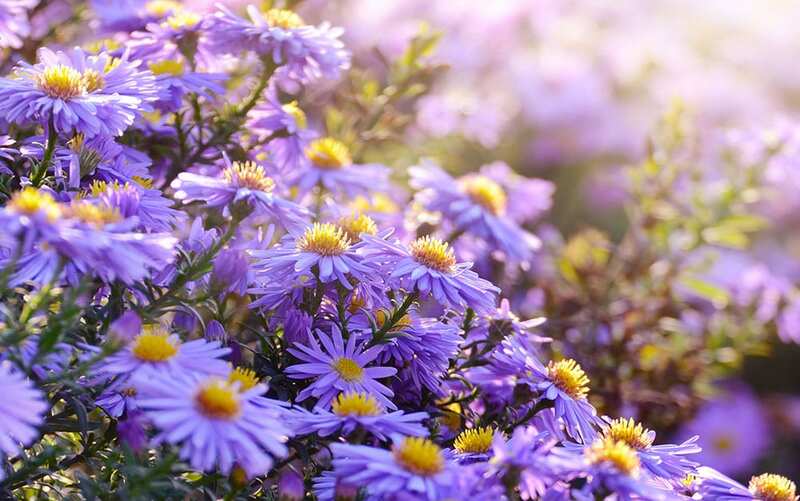 Sun-loving plants, like Asters, enjoy day-long sunshine and simply won’t grow well in shady spots, while ferns are only happy in full or partial shade. Fuschia plants need a sheltered spot, while alpine plants like Sedum (Stonecrop) prefer to be exposed. Azaleas and Rhododendrons love acidic soils, but Chrysanthemums prefer alkaline. While most plants don’t like waterlogged soils, varieties like Cornus sericea (Red osier dogwood), will thrive in damp conditions where other shrubs would fail. 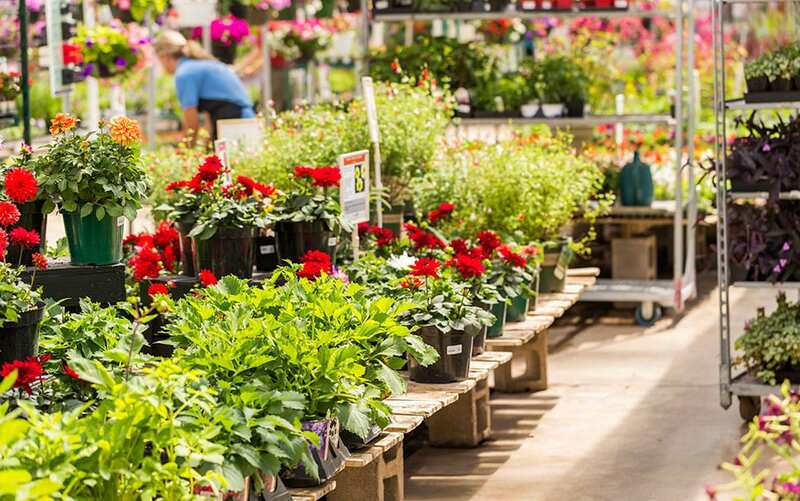 Check the plant label, search online, or ask the staff at your local garden centre to be sure of what each plant needs before you buy. 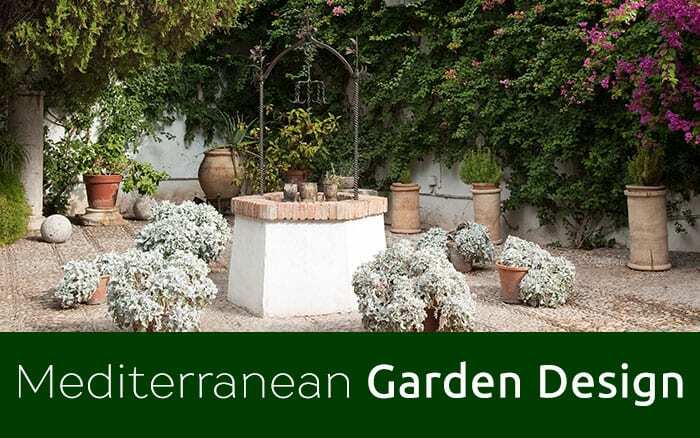 Getting a feel for the growing conditions in your garden will help you to choose the best plants for you. 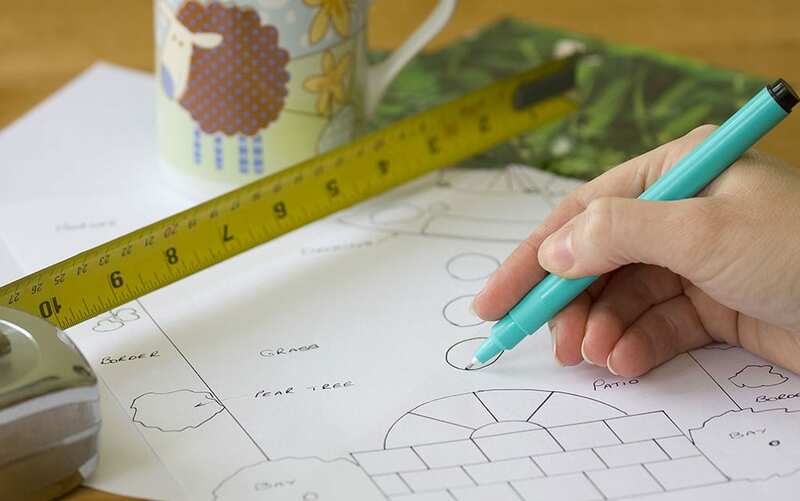 You could even make a quick sketch which records the growing conditions in each area so you know precisely what to look for at the garden centre! If you are stuck for inspiration when choosing foliage and flower colours, try a colour wheel. It gives you a good, visual idea of colours that do and don’t work together. Choose harmonious colours that are near to each other on the wheel—think blue Lobelia with purple Lavendula (Lavender)—or create contrast by taking colours from opposite sides—think blue Lobelia against sun-yellow Marigolds. 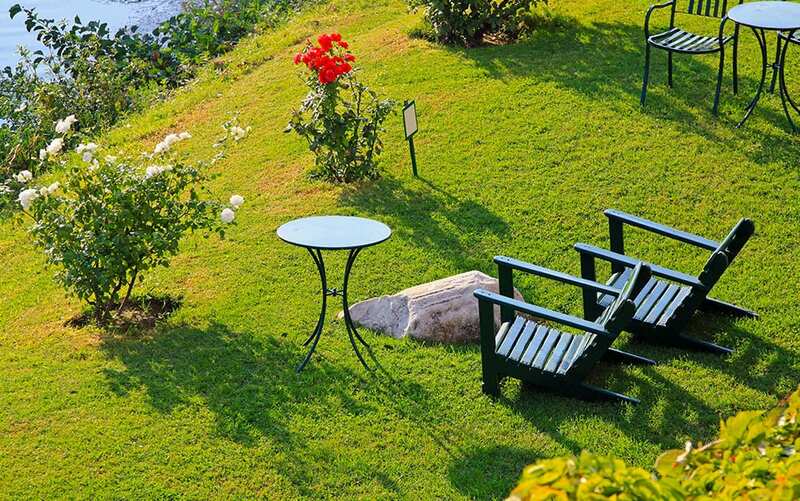 When surveying your garden, take note of any colours you’d like to pick out or contrast with in the surrounding area. Look at the colours of nearby sheds and fencing, plant pots, containers and foliage. Choose plants that stand out against background colours or tie in with the colour of the shed. Standing plants together in the garden centre is a good policy for making sure they look nice as a group. To get off to a flying start in your own garden, plants need to have been looked after properly before they reach your home. 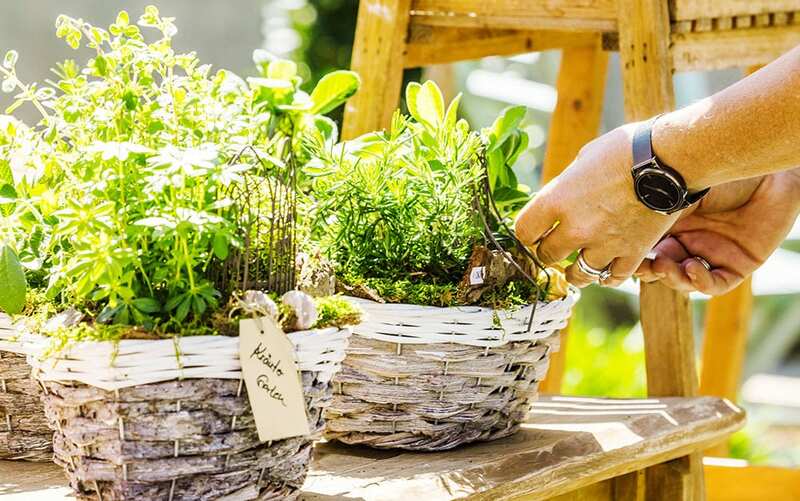 Looking carefully at plants before you buy them can help you to select the strongest and healthiest specimens—check for strong green growth and colourful flowers. Try to avoid plants that are pale, wilting or pot-bound with roots pushing out the bottom of the pot. When plants start off well in life, it gives them a strong basis for going on to thrive in your garden. Traditionally, structure is created in a border by building a framework of lofty stems at the back, medium blooms in the middle and low-growing varieties in front. of your soil for you! This creates a backdrop for the lower-growing plants and prevents taller varieties from blocking the sunlight to smaller ones (which prevents them from going ‘leggy’). Some of my favourites for creating a beautiful backdrop are Fargesia robusta (a lovely evergreen yellow-green stemmed bamboo) or Juniperus communis (an upright evergreen shrub with aromatic leaves), both of which lend great background colour to highlight the smaller, showier plants at the front. 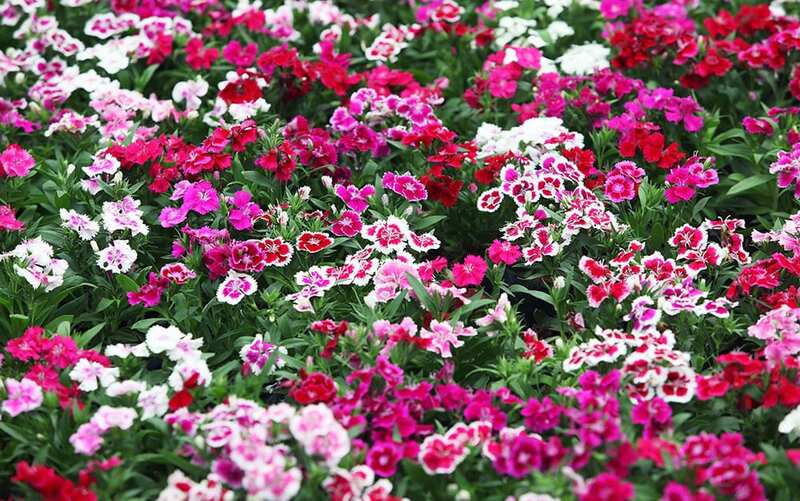 For small, showy plants, you can’t go wrong with the crimped flowers of Dianthus, the showy blooms of dwarf Dahlias, or a carpet of Phlox subulate (Moss Phlox). For the middle, look for the ‘Six Hills Giant’ variety of Nepeta (Catmint), with its lavender-like spikes or Geranium psilostemon (Armenian cranesbill), with its flush of dainty pink blooms in summer. Choose one or two striking plants to create standout focal points in your garden. Focal points allow your eyes to focus on particular spots and bring a wonderful sense of order to a planting scheme. 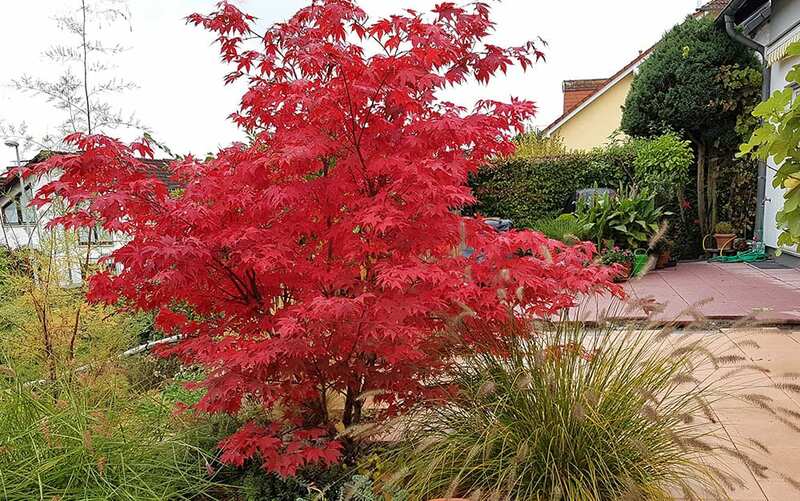 Try a small specimen tree in the centre of the lawn, a tall column of conifer in the corner of the garden or mark the start of a garden path with pot-planted shrubs either side. For real punch, bag a slow-growing Acer palmatum (Japanese maple) for its incredible flame-like leaves. Alternatively, try Viburnum carlcephalum (Fragrant snowball) for its large globe-shaped trusses of sweet white flowers. Another more unusual option is to grow delightful climbing plants like Clematis or Jasminum (Jasmine) around wooden wigwams in the middle of a border. This will add extra height and structure and will break up your garden planting. 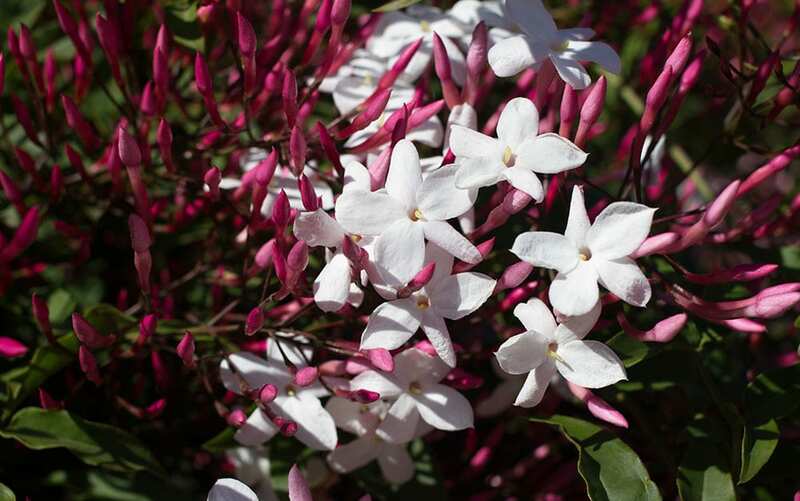 Choosing evergreen varieties, like Clematis armandi (Armand clematis) and Trachelospermum jasminoides (Star jasmine) will create interest year-round. A word of warning though—don’t overdo it. Every extra focal point you put in will weaken the impact of the others. In this area, less is definitely more! Before you buy new plants, think ahead. Look at the label to find out how big each will be when fully grown and plant them as if they are that size now. This will help you to avoid buying a plant that quickly triples in size and smothers the unfortunate surrounding plants or blocks the light to your windows. Factor in sideways growth too and leave enough space between plants for them to grow into. One of the biggest mistakes you can make is overcrowding your plants. 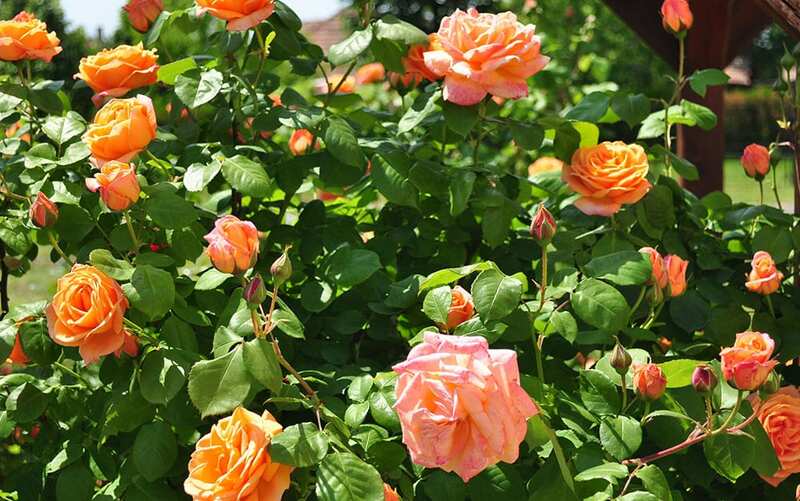 They may look good in the short-term, but plant them too close together and they will quickly start to struggle. Checking the labels for ultimate size before you buy will help you to choose varieties which you can give ample room to grow and spread. 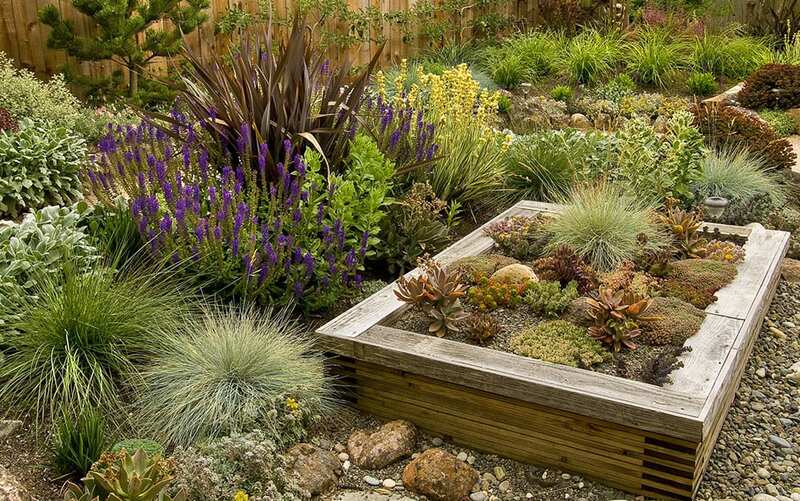 A good rule when planting is to set out the plants on top of the soil first and measure the spaces in between. 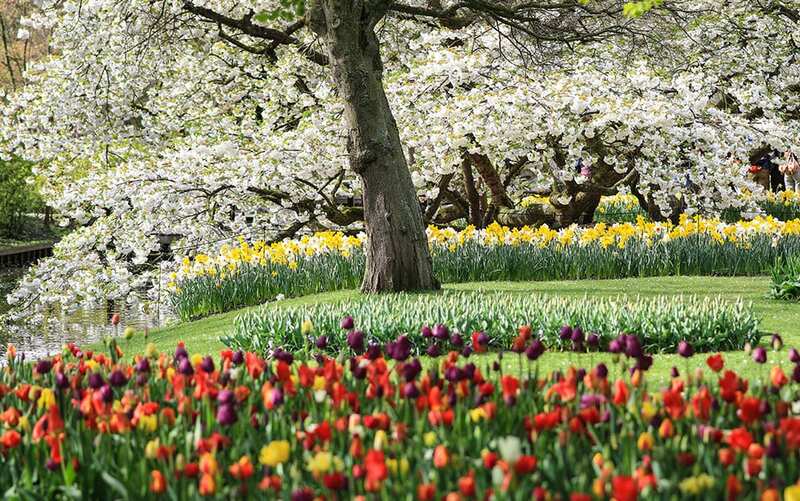 One of the most delightful things you can do is to mark the changing seasons with bursts of different flower varieties appearing at different times of year. What could be better than seeing those jolly spring bulbs bobbing their heads up above the frosty ground as winter draws to a close? Is there a better way to announce spring than the sun-yellow blossoms of Forsythia and delicate pink blooms of a cherry tree? Who can resist bending to take in the scent of a summer rose or the delicate fragrance of summer-flowering Lathyrus odoratus (Sweet pea)? What could be more autumnal than the orange berries of the ‘Saphyr Rouge’ variety of Pyracantha (Firethorn) or the red-orange florets of the late flowering ‘Finchcocks’ variety of Dahlia? Plant these against a backdrop of evergreen plants to make the most of the seasonal colour variations whilst retaining garden structure throughout the year. Any time you notice a bare spot in the garden, visiting the garden centre to choose a plant that looks its best at that moment will ensure your garden has year-round intrigue. Plant shapes can be used throughout the garden to create a subtle, harmonious feel or a bold contrast. 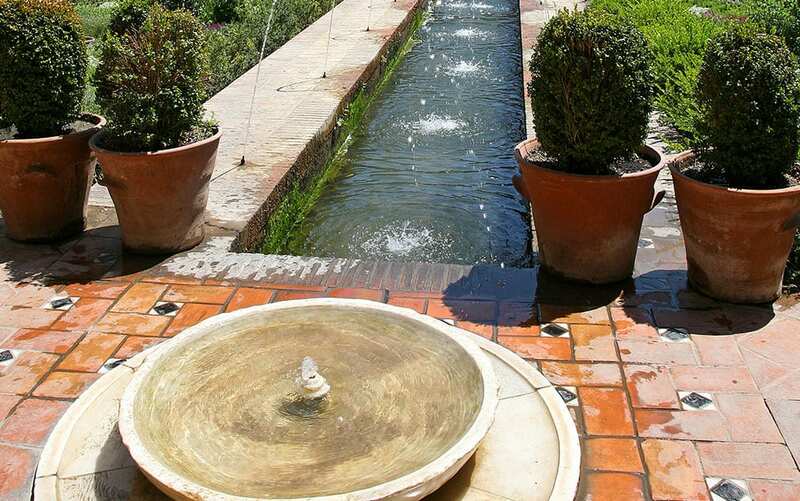 Match a neat lollipop tree with rounded archways, circular bird baths, and the gentle foliage of plants like Euphorbia (Spurge) or use these soft shapes to off-set the hard lines of an angular water feature or patio. Try grouping plants with spiky, defined shapes together for maximum impact, or add sharp shapes among soft planting in flower beds to serve as focal points. Look for the wonderful blue-hue of bristly Festuca glauca (Blue fescue) or the robust spears of Kniphofia (Red hot poker) for spikey plants that do well in UK gardens. Another thing to look out for on labels is the hardiness of a plant. 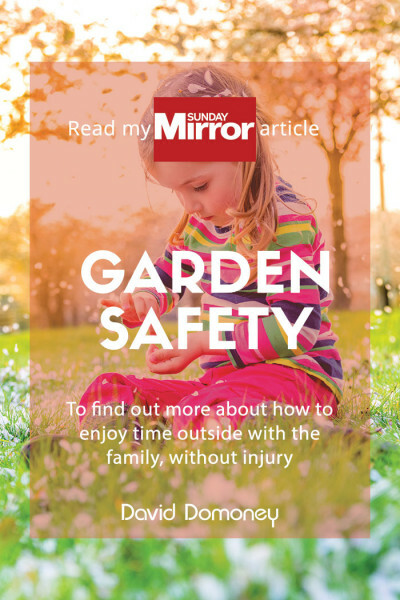 If your garden gets exposed to cold winds or is in the northern reaches of the UK, tender plants may die during the cold season and leave bare patches next season. Taking this into account when purchasing plants will help you to be prepared for winter—note that some plants can be planted outdoors in summer but need to be brought indoors or given protective covering over winter, while others will survive even the harshest of British winters. 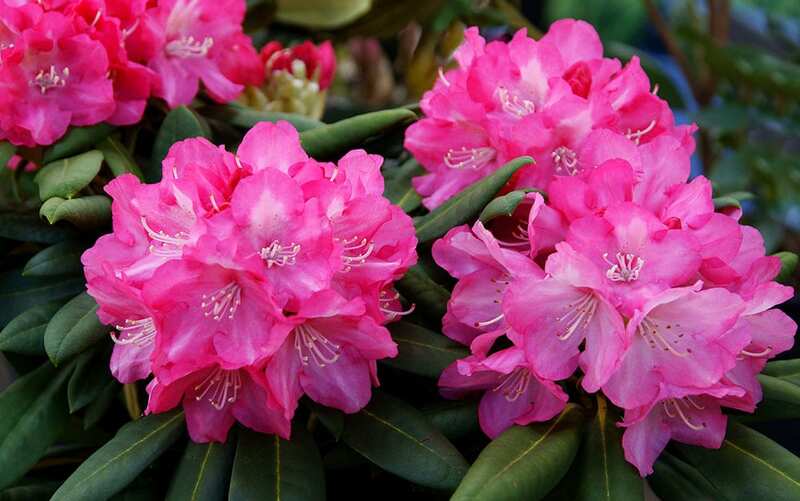 Check the label for the hardiness rating of a plant, or search online to find its RHS rating on the ‘H’ scale (H1 being the least hardy and H7 the most) and buy plants that will survive the temperatures in your own garden. When designing your garden, look for ways to use plants to obscure eyesores or create privacy if your garden is overlooked. Beautiful raised planters can be used to obscure bins and tall shrubs to eclipse utility boxes. If you have space for a tree, plant it so that when it reaches its full height it will block the view onto the garden from neighbouring windows. 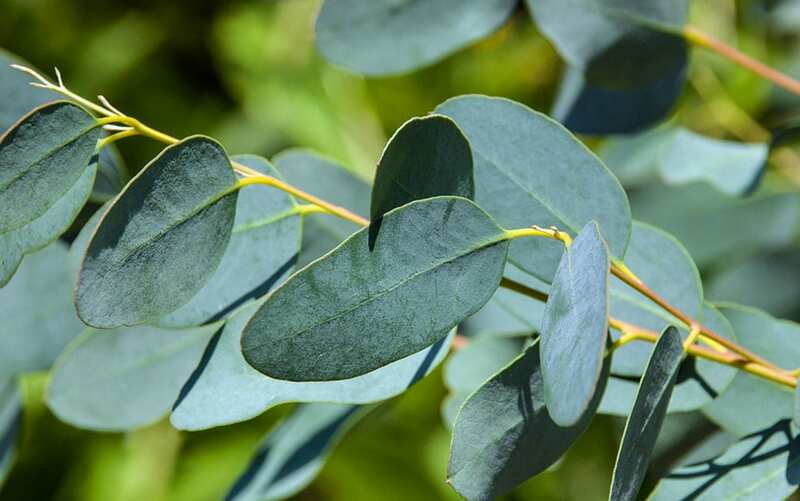 A fantastic evergreen tree with lots going for it is Eucalyptus gunnii (Cider gum). 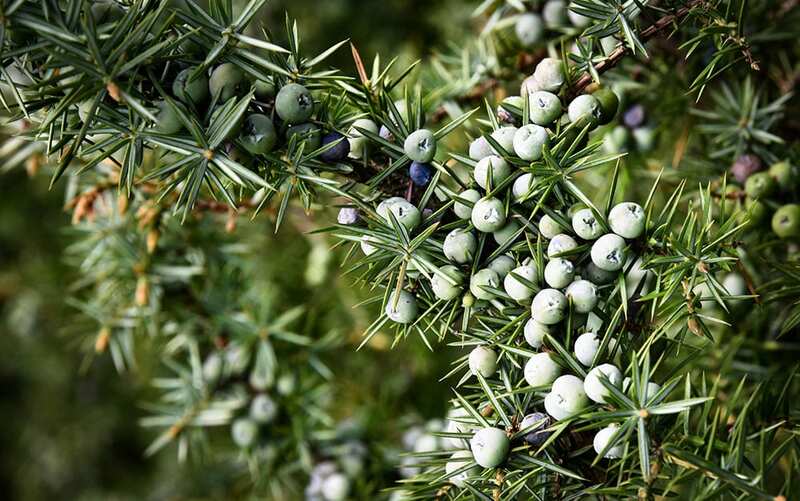 It has attractive cream and brown bark and superb grey-green rounded aromatic foliage. At its full height it will reach upwards of 12 metres tall, although this variety can also be pruned and kept smaller. Once you are getting the hang of garden design, breaking away from predictable patterns by putting plants in unusual places can add extra interest to your garden. Alpines are not just for rock gardens, they also make great ground cover beneath roses and colourful filling for unsightly cracks in the patio. 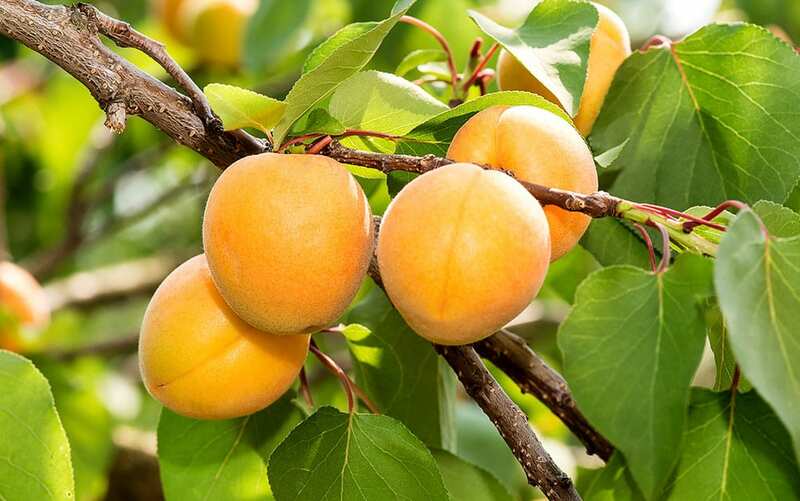 Fruit trees needn’t stand on their own—try planting them at the back of a mixed border for a backdrop of spring blossom and bright summer fruits. 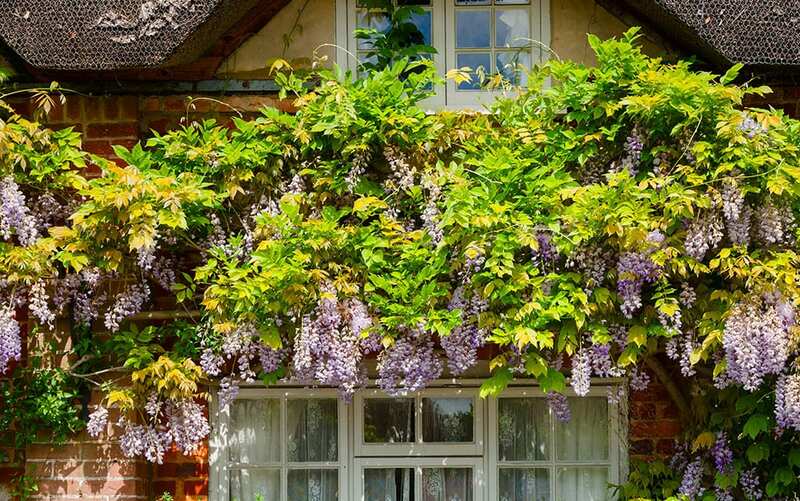 Climbing plants don’t have to be limited to scaling fences and trellis, why not wind them round a bird table or gazebo for added embellishment. Follow these 10 design tips and your garden will be packed with fantastic colour and structure all year round!